Are you a soon-to-be first-time mom? 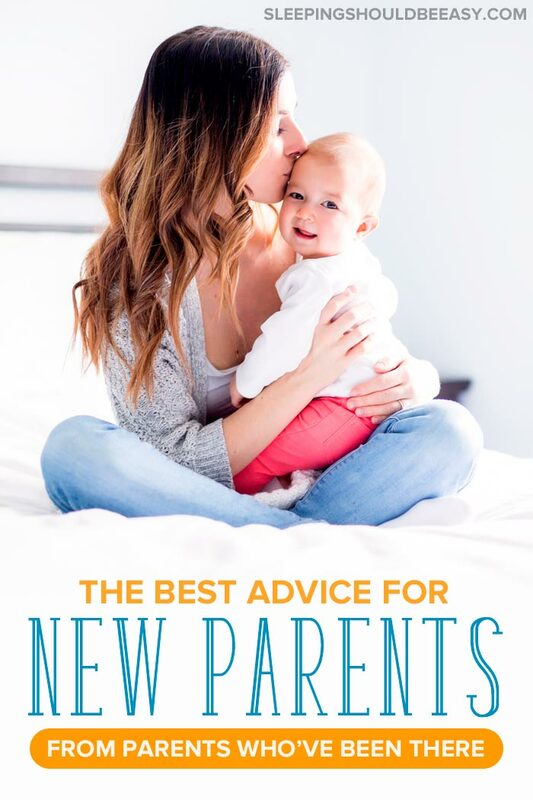 Discover the best tips and advice for new parents that no one talks about—from fellow parents who’ve been there. Tell anyone you’re about to be a new mom, and you’ll likely hear scores of parenting advice all over. The coworker who tells you it’s okay to feel overwhelmed, the friend who warns you not to rock your baby. You’ll hear about milestones to keep an eye on, and what those flaps on onesies are actually for. But sometimes, it’s the absence of advice for new parents that’s most startling. How no one tells you the intense and almost shameful feelings you have about wanting to have your old life back. That you’ll lose your temper in a split second, all because your baby won’t nap. Or how they take pictures of themselves smiling with their new baby, but never of the times they’re miserable beyond words. Like every first-time mom, I felt pretty clueless about the knowledge I should have that I didn’t. So I dove into books about what to expect, which only scared me even more. I saved activities I wanted to do once my son was older, and I armed myself with “reality-check” stories about changing diapers 13 times a day. Over time, we all develop our own parenting philosophies, with few of us ever subscribing to one school of thought. But sometimes, I wish I knew more common-sense advice for new parents. The kind that would reassure me I’m not alone, and that the hard days won’t always be so challenging. Having zero experience with babies or kids before, parenthood could’ve been a potentially tough and scary road with my first baby. But thanks to advice I learned and adopted, it didn’t have to be. I asked other moms and dads what they believe is the best parenting advice for new parents. This is what I wish I had learned from the get-go, and what continues to guide me and many parents moving forward. You and your partner are different people who won’t always do the same things. You might get upset because he put the white noise machine on “medium” when you know the baby needs it on “high.” Or maybe he isn’t swaddling tightly enough, which only made the baby wake up halfway through the nap. I get it. As a self-proclaimed control freak, I tended to take the reins and do a lot of things myself. I also spent more time with my babies, having more hours in the day than my husband. But over time, I learned that my way isn’t “right,” just as his way isn’t “wrong.” It’s just different. In fact, the more we nitpick on how our partners aren’t meeting our standards, the more we push them away from even wanting to help. Worse, we’re denying him and the baby the chance of developing a bond and learning what works for them. After all, we had to learn through trial and error as well—by nitpicking, we’re not even giving our partners the chance to do that. And finally, we become the “police,” hovering over our partners, looking for where they messed up. As you can imagine, this is no way to have a thriving and loving relationship. Your partner needs the space to learn and co-parent the way he or she should. Sure, you’ll want to talk about major topics or truly problematic issues, but we can let the rest go. Learn how to involve dads at home. Many moms feel obligated to put themselves last. This is understandable, considering that kids can hardly do anything for themselves, especially in the first few years. But taken too far, you’re actually depriving your kids of the kind of mom they need and deserve—one who is happy and has the capacity to give. How full is your teapot? What are you “giving” your kids if your own pot is running low or empty? In fact, taking time for yourself has an additional benefit: your child gets the opportunity to be alone. Good parenting doesn’t mean hovering over your child 24/7, but gradually giving them more and more space to be themselves. So take care of yourself, whether that’s reading 10 minutes a day or hiring a sitter so you can have lunch with a friend. 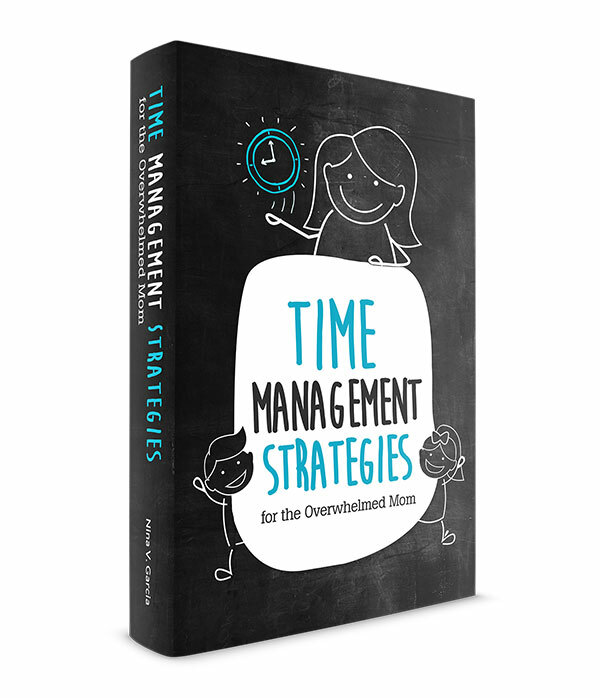 It’s an overlooked necessity that will make you the better parent you want to be. Spoiler alert: madness will happen. Your baby decided to poop all over her diaper right as you’re about to leave the house. You’re late to the doctor’s appointment, you can’t find that darn pacifier, and you realize you’re completely out of burp cloths and onesies. Oh, and people are coming to visit and the house is a complete mess. For someone who loves order and predictability, let’s just say that becoming a mom has tested my sanity more than once. That’s when I learned to simply go with the flow. In fact, the more I accepted the madness around me, the more lighthearted and at ease I felt. 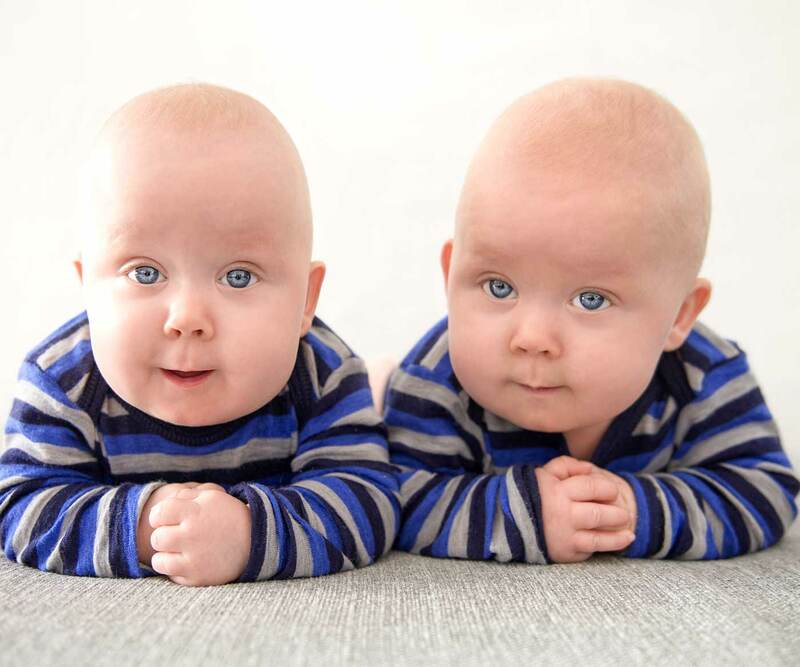 I could almost laugh about the sleep deprivation, that our dishwasher conked out the day we brought the twins home, and that there were ants crawling into our bedroom. Don’t exhaust yourself with unreasonable standards. Your house doesn’t have to be spotless, and dinner doesn’t have to be ready by 5pm every night. Because things will happen. The quicker we can let go of the need to control, the more able we are to get through these challenges. It really is okay if your toddler insists on wearing sweatpants even though you had hoped he’d dress up a bit for the birthday party. Or that your kids watch the rest of the movie even though it means they have extra screen time for the day. Your kids will one day refuse to eat the food you prepared or cry because they don’t want to get in the pool for swimming class. They’ll want to eat a packet of gummy bears after dinner or skip a bath for the night. And you’ll need to find that balance of staying consistent with having reasonable exceptions. Don’t feel like your kids will stop respecting your authority because you caved in and bought them a toy from the store. Or that everything has to be exactly by the rule book, no matter what. Yes, you want to be firm and consistent on most things—and your kids will abide by them most of the time. So when those exceptions happen, remind yourself that they almost always do what you ask with no problem. Comparisons will drive you nuts. The ironic part is that just a few years later, everything you’re comparing isn’t going to matter all that much. You’ll get tempted to compare which milestones your baby is hitting—and how quickly—compared to other kids. You’ll second-guess your decisions when you hear that other parents are doing the exact opposite. You might even beat yourself up because you don’t have the top-notch baby gear or the biggest parties. All of those things don’t make you a better or worse parent than the next. And more than likely, your kids will grow up just fine, regardless of how you seem to come up short right now. Learn why you shouldn’t compare your child to others. Parenthood will bring out the best in you… if you’re willing to look for the opportunities that will help you grow. Every challenge we face—from sleepless nights to temper tantrums—can be the opportunity you needed just then to learn and improve. Because here’s the truth: if you’re still dealing with the same issue over and over, that just means you haven’t learned the lesson you needed to. If your child’s tantrums seem to be getting worse, maybe you need to examine how you’re reacting to his behavior. If sleepless nights are making you even more miserable, perhaps a new way of helping your baby fall asleep will take care of it once and for all. Striving to be your best doesn’t mean giving yourself grief when things feel hard. Know that you’re doing your best at this moment, even though it feels like you’re constantly messing up or second-guessing your decisions. After all, no one intentionally chooses something knowing it’ll have a terrible outcome. We made decisions based on where we were in that moment. So when life feels overwhelming or you know you could’ve done better, start by giving yourself the grace you need. There’s no point in beating yourself up even more—pick yourself up, acknowledge that you’re here and doing your best, and move forward. Learn what to do when you feel like you’re failing as a parent. At the end of the day, this is the best advice I can give. As important as it is to absorb as much advice and information as you can, you also need to run them through your own personal filter. Because people will give advice, but every child, every family, every parent is different. There isn’t one right way to raise a child—you know your child better than anyone else. So listen to people’s advice, then do what feels right or aligns with what’s important to you. You shouldn’t feel like you have to defend or explain yourself as to why you don’t want to give the baby a cookie or why bedtime is at 7pm. Do what works for you. 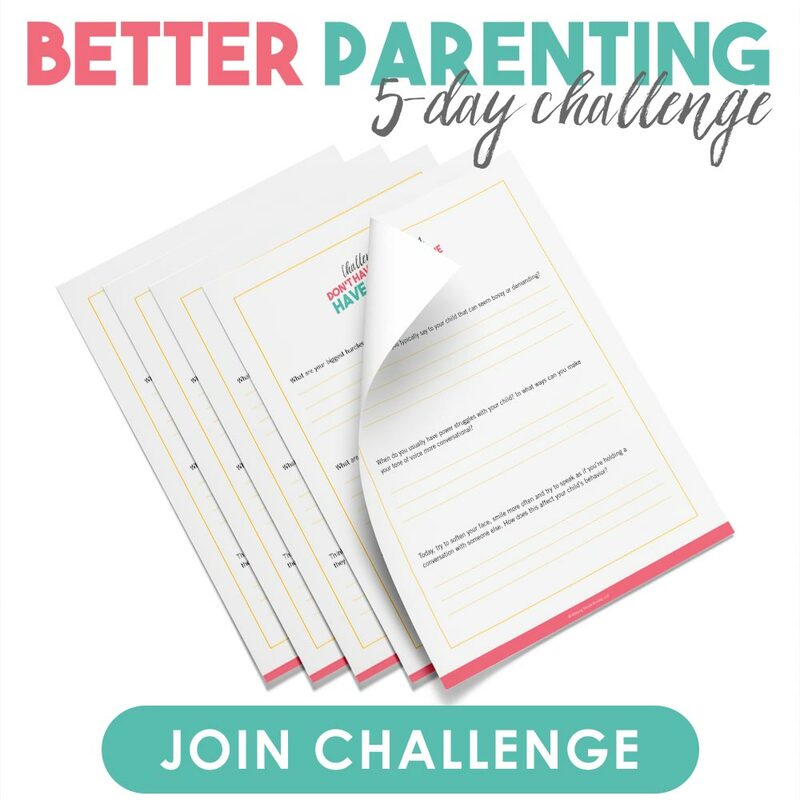 When you join the challenge, you’ll get one actionable tip per day you can implement right away to drastically transform the way you raise your child, in ways you never imagined. This is your chance to challenge yourself and make the changes you’ve been meaning to make. Becoming a new parent can mean hearing a barrage of advice you can’t seem to filter through, to not hearing enough of the ones that matter. But now you’ve heard from been-there, done-that parents on what truly is the best parenting advice for new parents. Start by allowing your partner to learn and make mistakes just as you did, instead of nitpicking everything he does. Take time for yourself, even—perhaps especially—when life feels chaotic. Learn to go with the flow and accept the season that you’re in, including picking your battles and making exceptions. Don’t compare, whether your child or yourself, to others, because these differences won’t matter down the line. Use challenging moments to improve and be the kind of parent you want to be, while also giving yourself the grace and forgiveness when you mess up. And of course, do what works for you. The best advice that works for 99% of parents might not cut it in your case. Hopefully the advice you’ve just heard from your fellow parents can help guide you toward your new adventure. Even as you’re cleaning up an explosive diaper or running late to a doctor’s appointment. Did you like this article about advice for new parents? Share it on Pinterest and Facebook!